I just got back from an eye exam and they dilated my eyes, so I can hardly see but I’m going to do my best to get through this entry! Please forgive me of any typos, if I can see them I will fix them. So today I took my supplements a little differently than yesterday and it was a much more pleasant experience. Putting the Spirulina in my smoothie definitely helped, even though it turned the whole thing black. I was so scared to try it but it really wasn’t that bad, I just couldn’t look at it while I drank it. I know it’s only been 4 days but I’m definitely sinking into the rhythm of this diet. It’s been fun experimenting with new recipes and trying to figure out how the hell to make vegetable entrees more interesting. I’m still looking for ideas though, so if you have any, don’t hesitate to throw them out there! 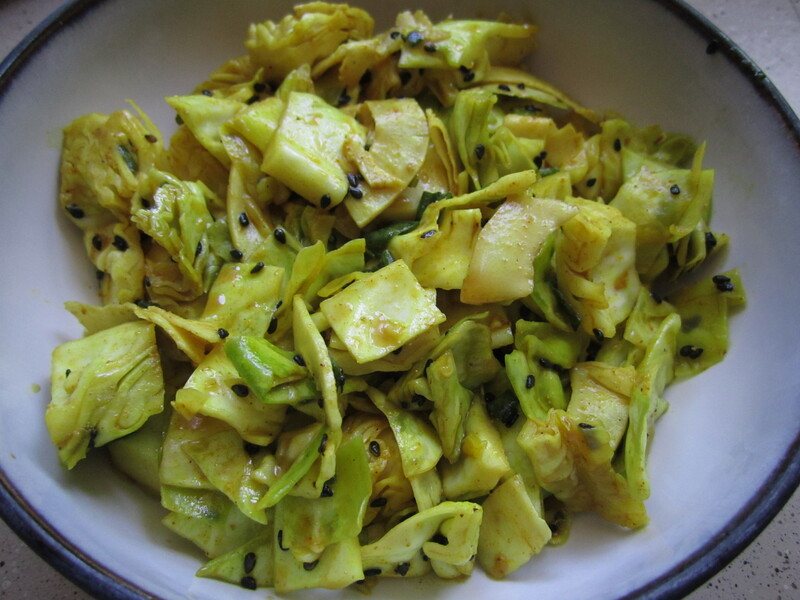 Since I’m limited to only raw fruits and veggies during the day, I tried to recreate this Curried Cabbage Salad that I’d eaten previously and really liked. My parents live in Sedona and the grocery store I always go to there is called New Frontiers – it’s like a small Whole Foods. They have a really great little deli in the back with lots of vegan and raw salads and entrees. I tried this cabbage salad one day and kept the label in hopes to one day recreate it at home. Well, now seemed like the perfect opportunity! In a large bowl (or pot), toss together first 3 ingredients. Whisk the remaining ingredients in a small bowl. Pour dressing over cabbage mixture and toss, making sure the cabbage is evenly coated. 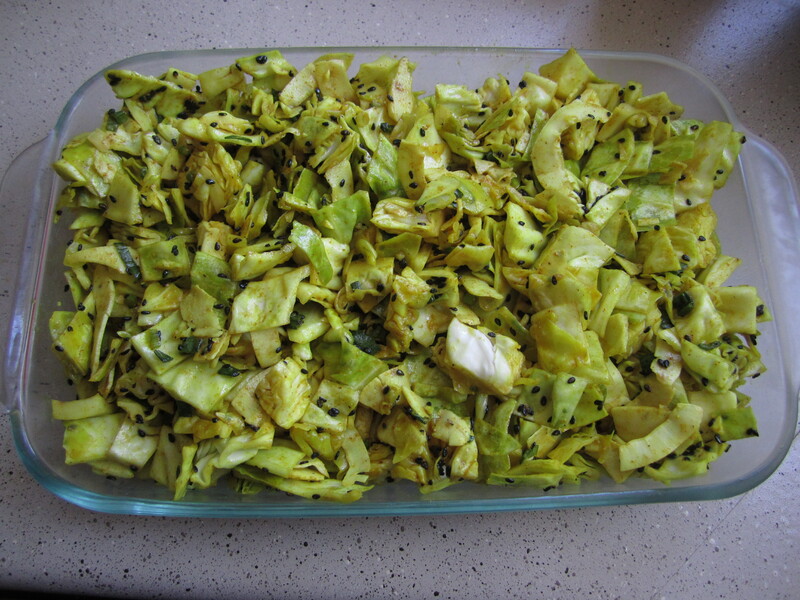 If possible, chill for at least an hour or overnight to let the flavors blend and the cabbage break down. That’s it! It was so good, I ate 2 big bowls of it. Since I’m not really supposed to have a lot of oil in my diet, I lessened the olive oil and increased the lemon juice. If you don’t really like lemon, you probably won’t like this salad, but if you do it’s a winner.